What is person-centered, trauma-informed (PCTI) care? It’s a holistic approach to wellness that promotes dignity, strength, and empowerment among the Holocaust survivors we support. PCTI care incorporates knowledge about the role of trauma in Holocaust survivors’ lives into programs, policies, and procedures. 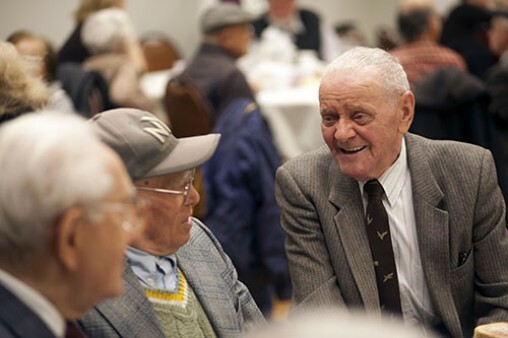 Building physical strength to enable everyday functions helps Holocaust survivors age in place. We support nutrition and wellness programs that strengthen the body and improve overall mobility. 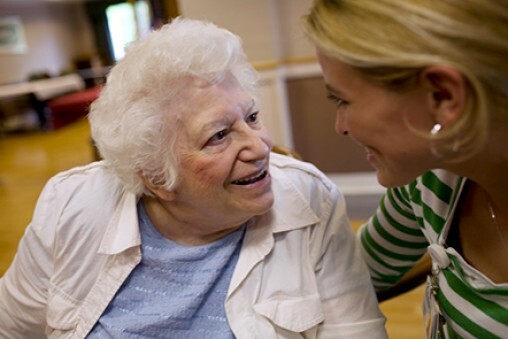 Maintaining cognitive health is essential to Holocaust survivors’ ability to safely age in place. 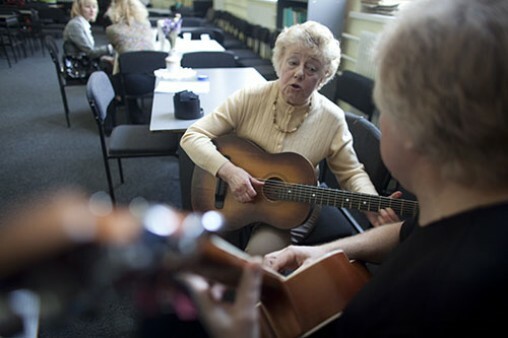 We fund programs that offer brain fitness exercises, dementia-focused care, computer-based training, and other mind-strengthening supportive services. 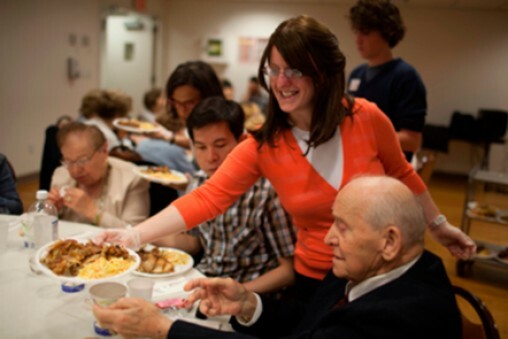 Many Holocaust survivors suffer post-traumatic stress that can manifest in myriad ways, including food hoarding, distrust, fear of institutional settings, flashbacks, and more. We fund intensive training in PCTI care and cultural competence to enable service providers to better understand and avoid trauma triggers when supporting survivors. We also support individual therapy and support groups, as well as creative therapeutic programs such as drama, writing and art. When Holocaust survivors can’t visit friends and family, or travel to grocery and drug stores, healthcare facilities and many more places, they can become isolated. We fund services like transportation, home-delivered and congregate meals, and more that enable survivors to access services in the community. Isolation can exacerbate debilitating long-term depression and anxiety among Holocaust survivors. We support socialization programs that enable survivors to spend time with peers, meet new people, and establish friendships at coffee socials, theater outings, music performances, and more. 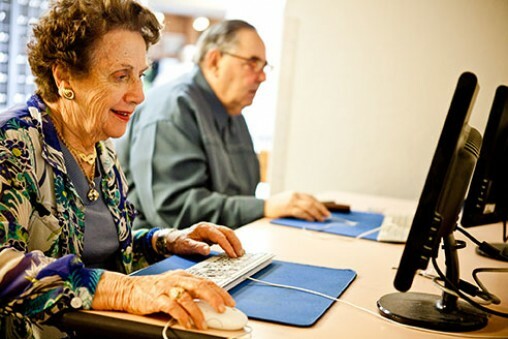 Technology changes the landscape for older adults, providing connections to friends and family, and access to telemedicine, home delivery services, and other programs that enable older adults to live independently longer. 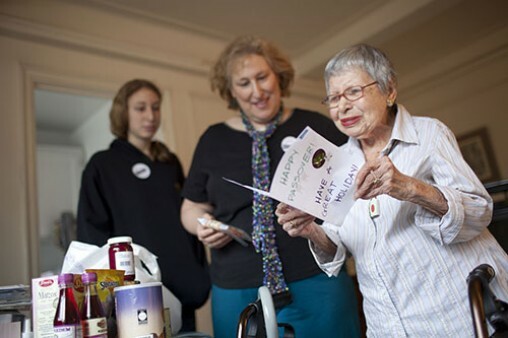 We support programs that teach Holocaust survivors new technical skills and utilize devices to broaden their horizons while increasing independence and connection to society. Quality of care improves when service providers understand how Holocaust survivors’ past experiences inform their current behavior. We support the development of educational materials and programs focused on training a multitude of caregivers, from family members to professionals. It takes a village. 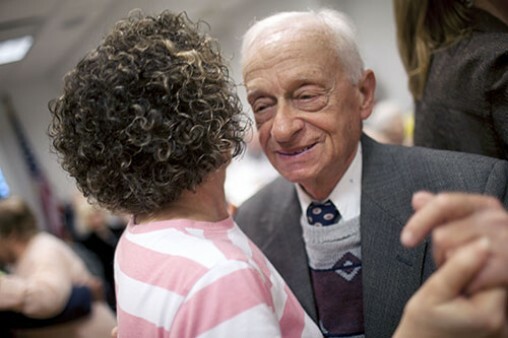 When Holocaust survivors need help to age in place, family or friends often step in to help. 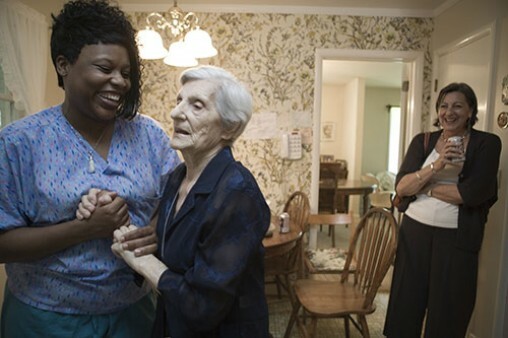 The physical, financial, and emotional toll of giving this support can reduce caregivers’ ability to provide quality service. We offer support to those family and friends so they can continue to help survivors for as long as possible. Copyright © 2019 Center for Advancing . All Rights Reserved.